What do I do with… Tasso Ham? 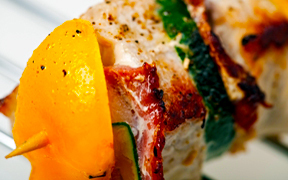 D’Artagnan Tasso Ham is lean, spicy cured meat that’s hand-crafted from the belly cut of humanely-raised natural pork. Our tasso ham is salt and sugar cured then seasoned with red pepper, garlic, herbs, spices and hardwood smoked for richly spiced, smoky flavor. 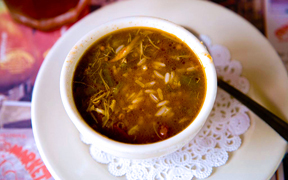 A specialty of Cajun cuisine, tasso is typically used to season dishes like soups, gumbo, grits, rice and gravies but any recipe that needs a rich peppery kick and depth of flavor can benefit. 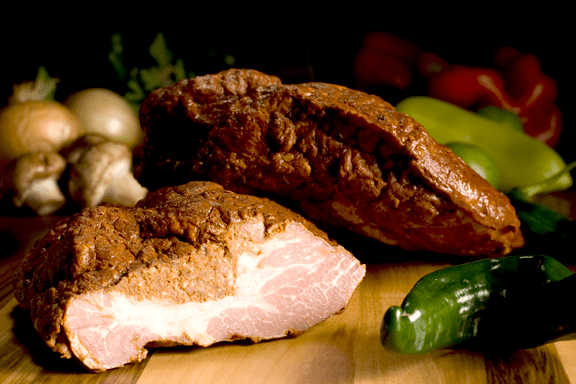 Our Tasso Ham is sold fresh, ready to serve. Keep covered in the refrigerator until ready to use, for up to 30 days or freeze before the date printed on the package. When frozen in airtight packaging, tasso ham will keep in the freezer for several months. 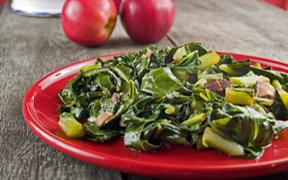 Flavorsome Bowl… Many kinds of soup benefit from the addition of tasso ham. 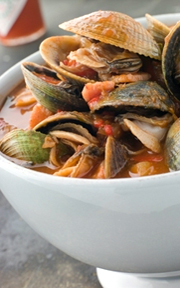 Chowders, creamy vegetable soups and bisques get a fiery boost from finely diced tasso added in the last half of cooking. 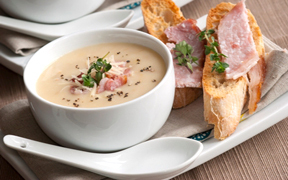 Use large chunks to season soups in the same manner as smoked ham hock or Parmesan rind. Try this method with split pea, bean, lentil and barley soups. 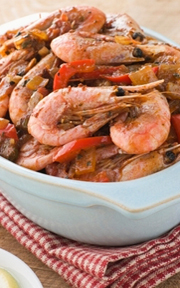 Gussy up Grits… Tasso gives soul food staple, shrimp and grits, it’s signature snappy punch. 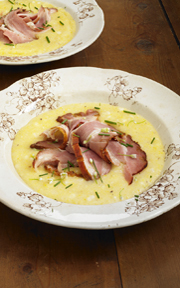 Try a bit of diced tasso in creamy Italian-style polenta too! Incredible Eggs… Savory egg dishes like omelets, frittatas and scrambles get a welcome hit of smoke and spice from a bit of tasso ham. 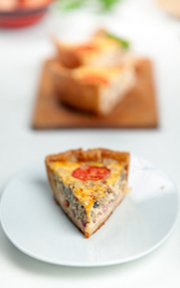 For an extraordinary quiche add a bit of tasso to the custard then pour into a tasso-studded, buttery pâte brisée. 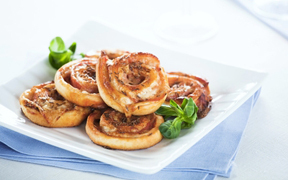 Better Breads… Highly-seasoned, spicy tasso is a wonderful add-in to breads and bread based recipes. Try finely diced tasso in your favorite recipes for cornbread, drop biscuits, cheddar muffins or savory bread pudding. Sweet & Spicy… Sweet fruit and tasso ham is a deliciously balanced pairing. For a tasty bite at your next outdoor cookout, wrap a paper-thin slice of tasso around a chunk of pineapple, skewer and grill. This works well with peaches and mango too.